We can operate a machine without filters in place only for so long before the engine gets so jammed with junk that it quits working altogether. In the same way, a person who indiscriminately spends without filtration will suffer a breakdown. Affordology allows us to take what we know about good and bad purchases and filter all our options through what I call the “Three Rs”: Rank, Resources and Return. If any item fails any of these filters, we shouldn’t allow it to impact our wallet. Life and money principle #1: We can do anything in the world we want to, but we can’t do it all. Thus, prioritization is our first priority. What happens when we don’t sort and rank our options before choosing a course of action? We run into what the financial world calls “opportunity cost,” a fairly self-defining phrase. When we do or get things, this costs us the opportunity to do or get other things; even, perhaps, higher ranking things. For example, if we buy a nice, shiny sports car it means we can’t use those same funds to purchase a vehicle to take off-roading, and vice-versa. Therefore, it is critically important to assess the most important functions of the anticipated vehicle so we don’t get a car that’s good, but not best, for our situation. When applying this best before good principle to spending, we must constantly ask ourselves some rank-based questions. If I could do only one thing with my money, what would it be? If not this, why am I not doing that one thing instead? Where does this item rank on the list of things I need and want to obtain in the next few weeks? What else could I be using this money for? Is this purchase in line with a good life or a great life? Does this purchase put me closer to or further away from my longer-term goals? This is typically what we think of and calculate for when we consider affordability: That car is nice, but can I actually pay for it? Or will I end up having shelled out good money, only to see the thing end up on a repo truck? This would be easy if costs were clearly spelled out up front. You must understand, though, that not everything is so straight forward. You must discover and account for both current and anticipated assets as well as stated, hidden and auxiliary expenses. If you do not have the resources, before and after a purchase, to obtain and maintain a product or service, then you cannot afford it. —Does purchasing the car rank high on my list of desires? 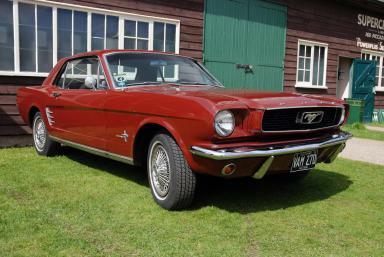 It’s a ’66 Mustang, for crying out loud, and those don’t come up every day. I can do the other stuff later. Check. —Do I have the resources? Not outright, but if I sold my stereo, crashed my savings, … Check. —Lastly, does the return justify the cost? Let’s see… it would cost $5,000, and I’m guessing they go for more than that in town. Let me check some craigslist ads for the going rate on this model, and… CHECK!!! Less physical, sizeable and speedy payoffs require a bit more thought and perhaps some time behind a calculator. The affordologist must look down the road and ask a few return-related questions to dig below the surface of a purchase. Will the payoff be negative or positive? By how much? How quickly can I recoup my expense? What are the alternatives that might leave more money in my pocket? Am I willing to pay X dollars for this over an alternative? Do the additional benefits of this option justify the additional cost, all things considered? With money-out/money-in type purchases (AKA investments) all of this can be scored with hard numbers to give you an idea of what you’re in for. With money-out/intangibles-in (i.e., fun or fulfillment) purchases this filter will at least allow you to assign a monetary value to the benefits you will receive from a product or service, and thus take some of the guesswork and emotion out of the decision. Choosing to attend a Broadway show and four-star dinner with a high maintenance date is perfectly fine, of course, just so long as this action passes the first two filters and the cost/benefit ratio is known and accepted. On the other hand, you may find that a couple of friends, a Frisbee and Chinese takeout gets you the same level of benefits for a much lower price—in other words, a much higher return on your investment.